Which dinosaur will you get? Which flavor will be inside? 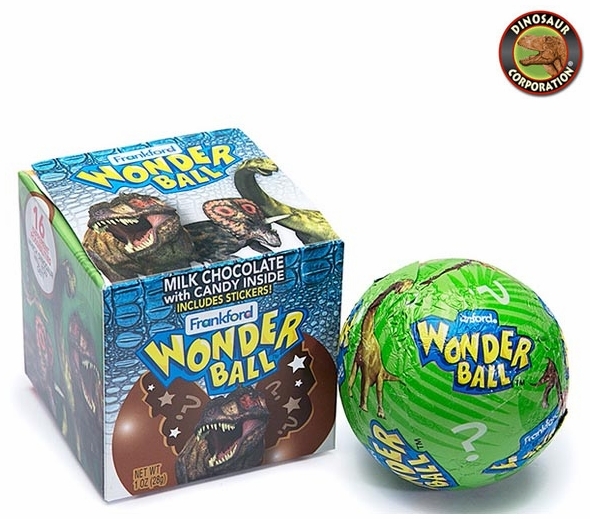 Adding these Candy-Filled Milk Chocolate Dino Wonderballs to dinosaur birthday party favors will make your party go down in history as one of the all-time best. This fun dinosaur candy also makes fun door prizes and giveaways for office parties, company events and more. Includes individually foil-wrapped milk chocolate ball with watermelon, mango, blue raspberry or cherry candies inside. Two paper stickers included inside the box.